There is an insurance product for just about anything you can imagine: health insurance when you get sick, auto insurance for when someone hits your car, and life insurance to help your family if you die unexpectedly. But all those different insurance policies can really add up on the monthly budget. It can be easy to look at all the costs and decide to go without insurance on certain items just to save money. However, that decision can be financially devastating if you don’t have insurance at your biggest point of need for insurance. The high cost of health insurance is a hot topic in the United States. Legislation passed by Congress a few years ago to cover more Americans is under attack, and employers are stuck with ever increasing premiums for their employees. If you have to buy insurance on your own the cost of premiums can be hundreds if not thousands of dollars. However, going without health insurance can destroy your finances. All it takes is a medical emergency requiring an extended stay in the hospital to see your bill hit hundreds of thousands or millions of dollars. Even cutting your insurance down to a catastrophic-only policy is better than going without insurance at all. Until the healthcare cost issue is solved in the United States, going without health insurance is just too risky. If you drive a vehicle, you are required to have insurance on the vehicle. It is easy to think “I’m a good driver, I don’t need car insurance”, but state legislation doesn’t see it that way. Every state requires you to have to minimum liability coverage to be able to drive your vehicle. But even this minimum insurance won’t do you much good if you hit someone and injury them significantly (or cause a lot of damage to their vehicle). The biggest risk isn’t necessarily the damage done to the vehicle, but liability if someone sues you as the result of an accident. Could you afford to replace your home and all of the items inside of it? If your answer is no, you need homeowners or renter’s insurance. If you own a home you are contractually obligated by your mortgage company to carry insurance because they know you won’t be able to pay off the mortgage in cash if your home is destroyed. As a renter it can be easy to think you won’t need insurance to cover your belongings because you’re always safe. 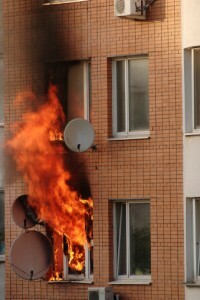 While you aren’t always required to have renter’s insurance, you really should have it. Renter’s insurance is cheapÂ â€“ $20 or less per month â€“ and protects you not only from your mistakes, but of those of your neighbors. You might not light your apartment on fire, but your neighbor might leave the stove on all day and destroy the entire complex. Of all these insurance types, life insurance is the easiest to drop safely. However, your ability to go without life insurance depends on your family’s situation. Life insurance is designed to provide a financial windfall to your family if you die in critical years where going without your income would be devastating. If you are a single income family, the person earning the single income should have life insurance at the bare minimum. If that income is suddenly removed, your family would be devastated. However, as you get older and your financial situation becomes more solid (i.e. you have a substantial retirement nest egg, you own your home, your kids are out of college and living on their own, etc.) then life insurance becomes less of a necessity. As you can see, going without insurance can be financially devastating. If you find yourself in a financial pinch, try to find other areas of your budget to cut before your insurance. Cut cable, entertainment, eating out . . . any “luxuries” of modern life should go before you cut your critical insurance policies. What pieces of insurance are you lacking? Why? Leave a comment! I think insurance is one the best and most useful hallmarks of a civilised society, particularly as you get the individual responsibility and choice of how far to insure yourself, based on your lifestyle and risk tolerance. It helps people to think and plan more long range, in the process helping to drive society forward. It makes me cringe to think that anybody would go without homeowners insurance. Not to put a bad omen out there, but as Murphy said, what can go wrong, will. Especially if you are not covered.